Be ready for every photo-op with our digital camera lineup. Snap stunning pics with a DSLR model & make the most of every shot with interchangeable lenses. Got a taste for adventure? Be sure to check out our assortment of action cams, too. 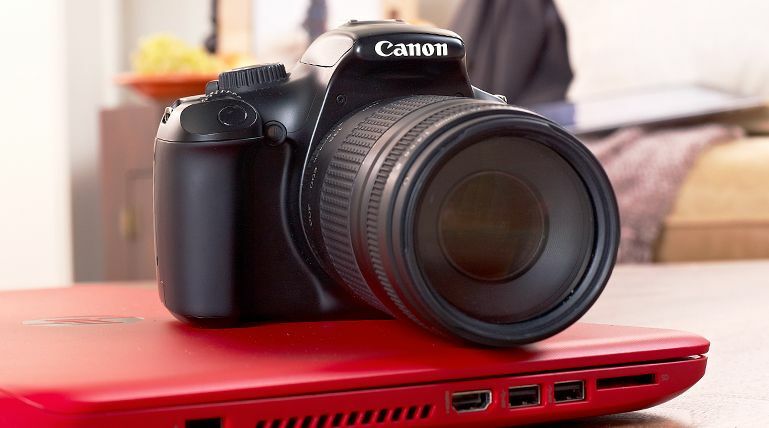 Canon Rebel T6 18MP DSLR Wi-Fi Camera with 18-55, 75-300mm Lenses & Accs. Canon Rebel T5i 18MP DSLR Camera w/ 18-55 & 55-250mm STM Lenses & Accs. Canon Powershot SX420 IS Wifi 20MP Digital Camera with 42x Zoom & Accs. Find a selection of top-quality digital cameras at QVC. Here you'll find professional digital cameras for a wide range of prices, as well as compact digital cameras perfect for travel. Are you looking for a great new camera to support your photography hobby? QVC has DSLR cameras that include lens kits and carrying bags. With top brands like Canon, Nikon, and Kodak, you'll have plenty of options to choose from. QVC also offers cameras perfect for capturing outdoor activities and extreme sports. Check out selections from brands such as GoPro or Linsay. These adventure cameras are waterproof and come with head straps or the option to add an underwater case or a clamp for attaching to sports equipment. Instant-print digital cameras are great for parties. Set up your own photo booth where guests can take fun pictures that print instantly. Polaroid and Kodak both offer instant-print digital cameras with built-in printers. Various photo paper options are available so you can print stickers and waterproof photos. No matter what kind of digital camera you're looking for, QVC is sure to meet your needs.